We hope this e-blast finds you healthy, happy and warm…because WINTER is here! The Hansen & Associates team is ready to take on 2018 in full stride. With renewal and recommitment in mind, we are starting the year off with time away from patient care and focus on self-evaluation. In a collective effort to emphasize team development, we are working with dental consultant and longtime friend Joan Unterschuetz to develop a balanced mindset that focuses on the betterment of self as well as our patients. We are excited for this motivational and constructive time to aligning our thoughts and goals around the practice, the patient care experience and anticipate collectively emerging with renewed spirit and new tools to navigate the year. In considering our purpose, we often postulate how we can better motivate wellness and self-evaluation amongst patients. We have noticed something very interesting about resolutions. People commonly set resolutions to go to the gym every day, but don’t people make resolutions to floss every day. Why is it that people are less apt to consider setting consistent goals for the oral health and care of their teeth... or don’t until it is too advanced to take preventative measures? Ultimately, we concluded that resolutions concerning oral care are much less common simply because people do not understand how disposition or problems with the teeth can become a systemic issue as well. 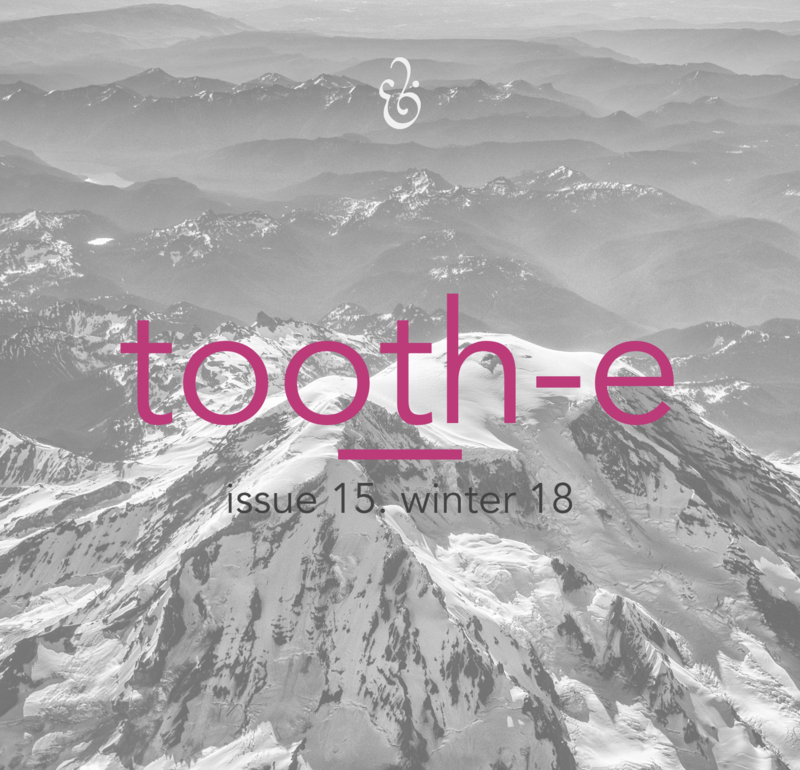 We hope that the issue of tooth-e we have crafted for you this quarter will motivate you to seek wellness for the sake of your teeth, as well as the rest of your body. When we see you next, please let us know what you think about our articles, we would greatly enjoy hearing back from you or discussing them with you at your next appointment! A current trend emerging from the health and fitness industries are the ideologies surrounding anti-inflammatory foods. Inflammation has been a prevalent obstacle in the daily livings of my own life. These obstacles have presented a learning opportunity to grow in my understanding of how the body responds to food at a cellular level. Humans can exert a bite pressure of 120 PSI (pounds per square inch). While enamel (the outermost, visible part of your tooth), is the hardest substance in your body, it is susceptible to acids and bacteria, which cause this stronger-than-bone body part to decay. Similar to fingerprints, everyone’s’ tongue is unique! It is also the only muscle in the human body that isn’t attached at both ends.